This sculpture of a sleeping putto has been beautifully carved so that the hard marble successfully imitates soft skin, fine drapery and curled hair. 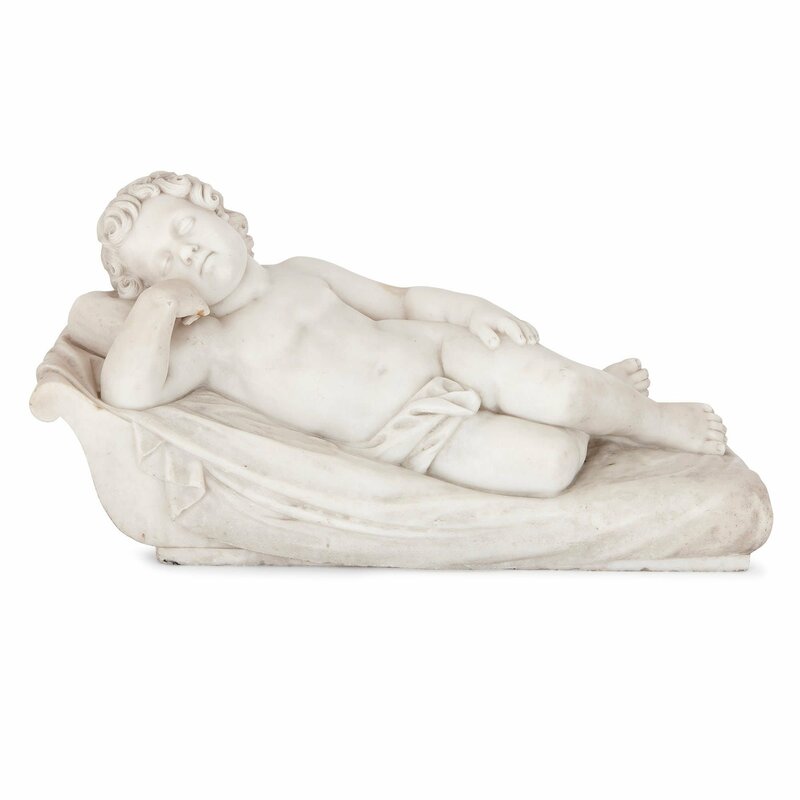 Crafted in c.1800, this figure of a classical putto has been carved in the style of the Flemish sculptor, François Duquesnoy (1597-1643). Duquesnoy was active in Rome in the 17th Century, where he spent a great deal of time studying ancient sculpture. The sculptor, Duquesnoy, is well-known for his bas-relief putti, which he carved for the Villa Doria Pamphili in Rome. His depictions of putti were not only informed by classical sculpture, but also heavily based on studies that he made of children. Duquesnoy's beautiful, plump putti became the prototype for later depictions by artists like Rubens. 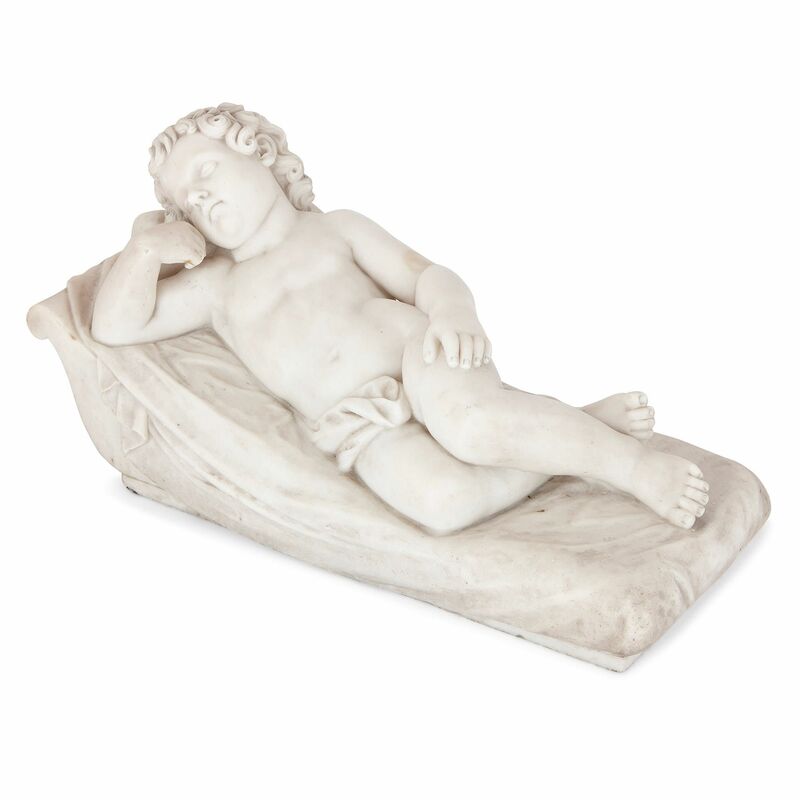 The naked putto is depicted lying on his side, asleep on a daybed. 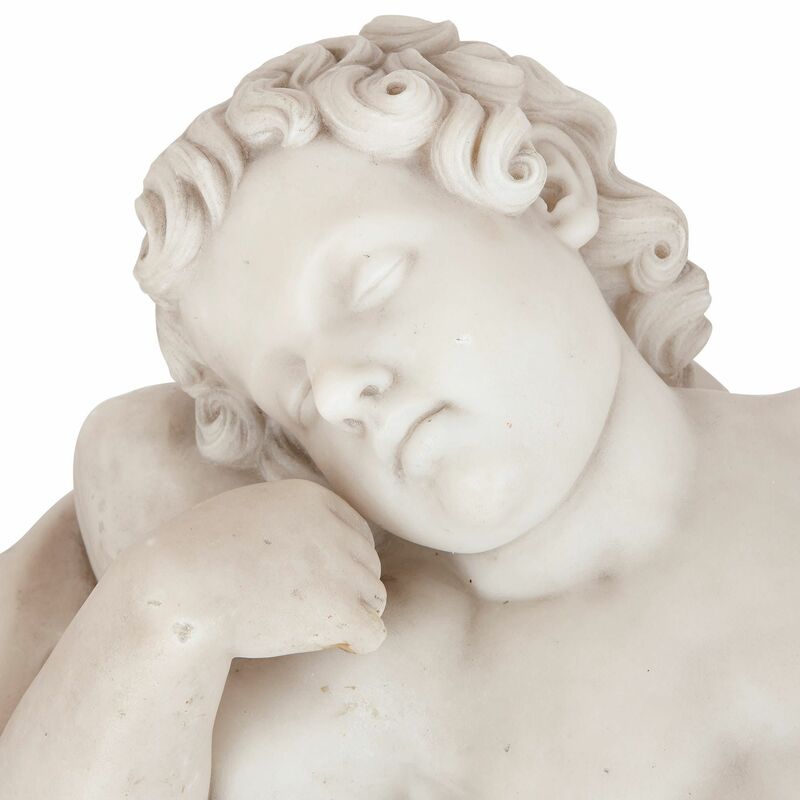 The putto adopts a typical Renaissance sleeping pose, with his head propped up by his bent right arm, his cheek resting against the back of his hand. His hair is tightly-curled, his eyes are closed and his expression peaceful. 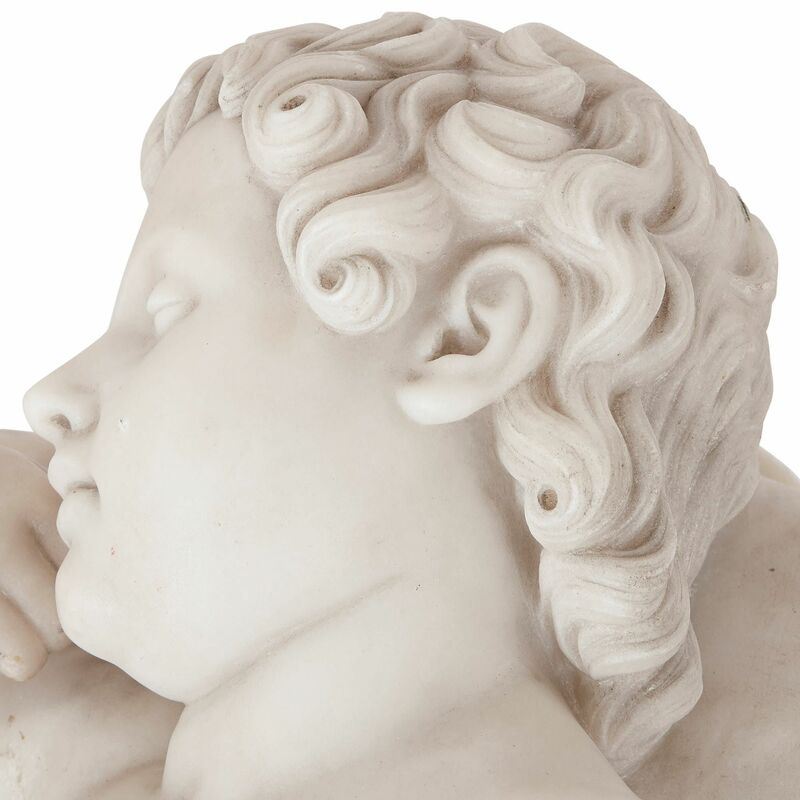 The marble head of the putto has been carefully chiselled and undercut to create tightly-curled hair. The putto's left hand rests on his left leg, which is outstretched on top of his bent right leg. The daybed is draped with a piece of light fabric, which gathers to partially cover the putti's body.